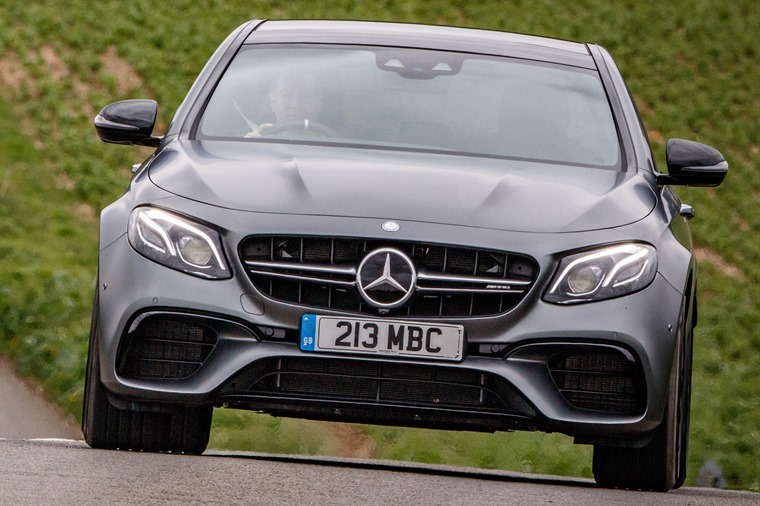 The E63 may no longer be the enfant terrible, but it’s still got more than enough devilment under the bonnet to make you grin with childish glee every time you press on the throttle pedal. 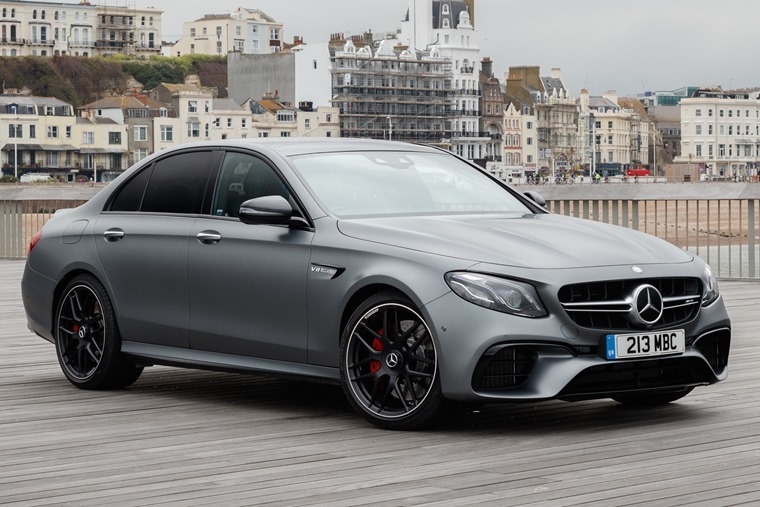 The Mercedes-AMG E63 has always had a reputation for being the enfant terrible, or maybe that should be Schreckliches Kind, of the large performance saloon sector. Rampant V8 engines have always supplied the power and the rest of the car has hung on for dear life. But not any more. Now, the E63 harnesses its power through 4Matic+ all-wheel drive and it turns this hooligan into something altogether more exciting. Of course, power still comes from a sizeable V8 engine, yet again it’s a more cultured and considered offering. So, we have a 4.0-litre motor that makes use of twin turbos to belt out 571hp in standard form or 612 if you opt for the S version that we tried. The S takes just 3.4 seconds to reach 62mph. 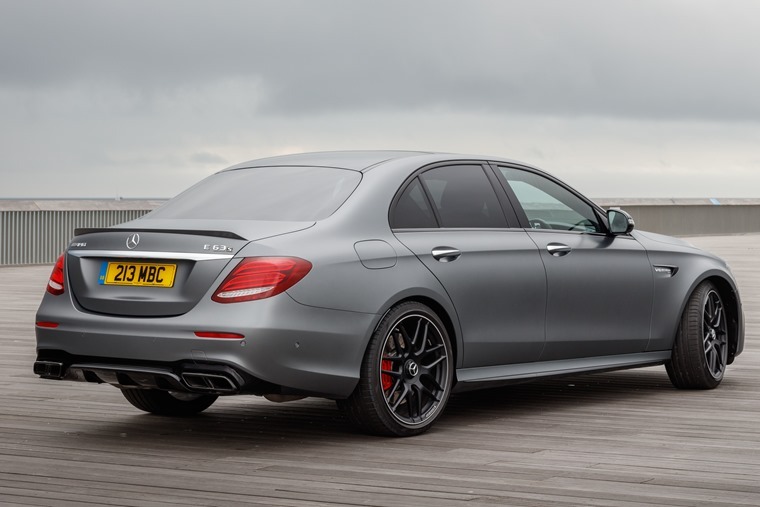 All of this grunt is delivered through a nine ratio AMG Speedshift automatic transmission that makes the E63 as easy to use in everyday traffic as the fleet favourite E220 diesel model. 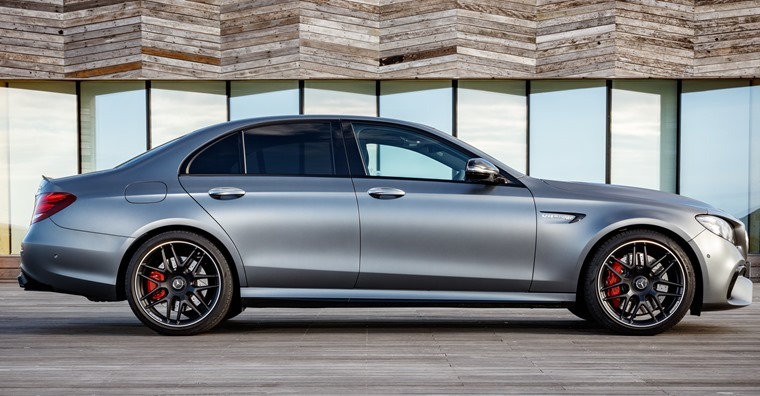 Yet plant your foot from a standing start and the E63 saloon takes 3.5 seconds to measure out 0-62mph. The S takes 3.4 seconds, with the estate variants of both trailing their four-door sisters by 0.1 second. 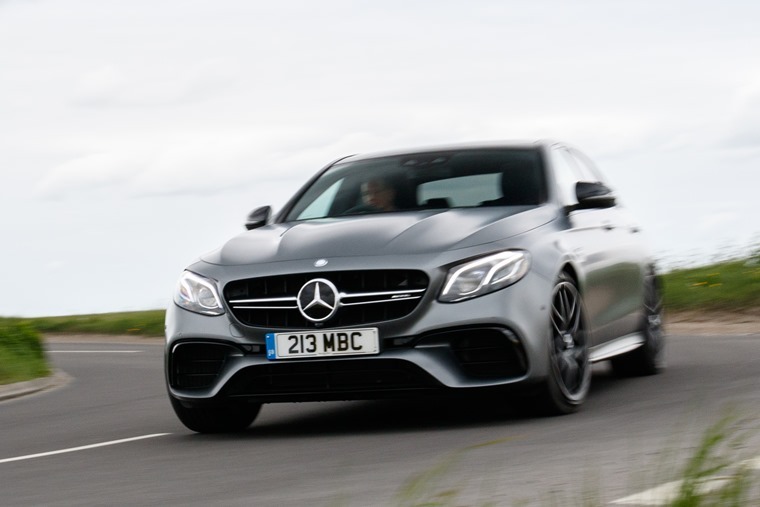 As you’ll gather, no E63 is a slouch and while top speed is limited to 155mph, what’s more important and relevant is the way they deal with the bit in between. Thanks to the pair of turbochargers attached to the V8 engine, there’s 553lb ft of torque on hand from just 2250rpm and it stays there all the way to 5000rpm. Choose the S and that swells to 627lb ft spread between 2500- and 4500rpm. This is the key to the E63’s sensational overtaking pace and the way it pins you into the driver’s seat when you accelerate hard. There’s no delay while the turbos pick up pace and there’s no let-up in the forward force they generate. Unlike previous E63s, all of this is done without any wheel spin or scrabbling for grip. What you get is superb traction from the all-wheel drive system that doesn’t waste a single horsepower. The all-wheel drive system doesn’t waste a single horsepower. There is the option of Sport+, Race and even a Drift mode for when you for when you’re on a race track. However, there’s little point in the latter and Race makes the car way too stiff and twitch for road use. Even in Comfort setting, the E63 has a firm ride and the larger 20-inch alloy wheels of the S version only add to the car picking up on small surface imperfections. It’s not unsettling or impossible to live with, but it’s a definite trade-off you make for the AMG’s other abilities. Among those abilities are its handling. For a car tipping the scales around the two tonne mark, it feels agile and keen to change direction. Some of this is down to the electrically assisted rack and pinion steering that reacts with fluid precision to the driver’s inputs. It’s not quite as sharp as a Porsche Panamera’s but then the Mercedes is a more adept long-distance cruiser than its German rival. There’s more than enough feel through the steering wheel to give you the confidence to make the most of the car’s considerable cornering grip. When you begin to reach its limits, there’s lots of predictable understeer and tyre scrub to let you know it’s time to ease off. Unlike E63s of old, the back end doesn’t step out of line unless you have the Drift mode engaged and really push the car into such rubber-melting behaviour. The exterior’s AMG body kit is subtle enough not to make the car stand out to all but those in the know. Civilised lunacy, then, is the order of the day with this latest E63, though you still get the gruff V8 bark and crackle as the engine is revved. A gentler right foot finds the motor settling into a background growl so you can cover big miles easily. The combined consumption figure of 30.1mpg for the S Estate we drove is good for this niche of car. Using the E63 every day shouldn’t be a chore if you accept its higher running costs compared to more mainstream E-Class models. 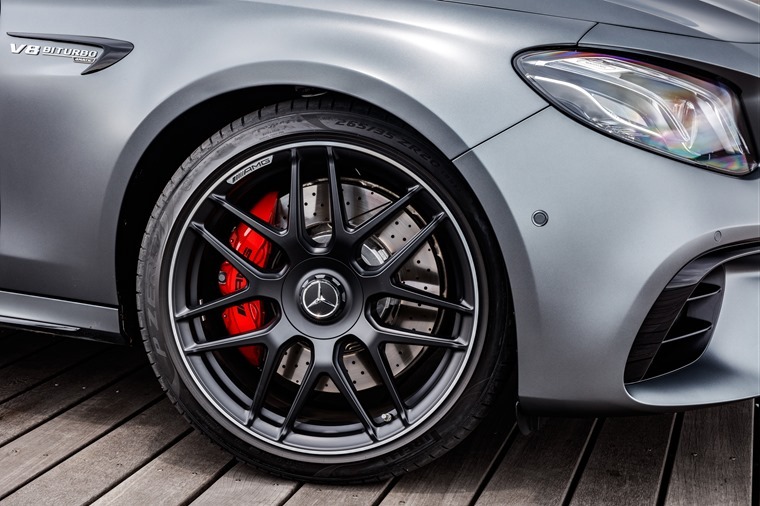 The exterior’s AMG body kit is subtle enough not to make the car stand out to all but those in the know, while inside you have leather seats with electric adjustment, climate control and Mercedes’ excellent 12.3-inch Comand infotainment system as standard. Tick the box for the wagon and you also get one of the largest load haulers in the business thanks to a boot that extends up to 1820-litres. Even with the rear seats occupied by passengers, the E63 Estate is a massive family hold-all. The E63 may no longer be the enfant terrible now it’s grown up and become a more responsible and rounded machine. However, it’s still got more than enough devilment under the bonnet to make you grin with childish glee every time you press on the throttle pedal, and that’s what AMG models are all about. *Average lease rates calculated using ContractHireAndLeasing.com data and based on typical 6+35 10k p/a deals. Correct at time of writing.